As a useful resource and learning hub for luxury real estate professionals, the Institute for Luxury Home Marketing is proud to be able to contribute leading research and market knowledge through our monthly Luxury Market Report. 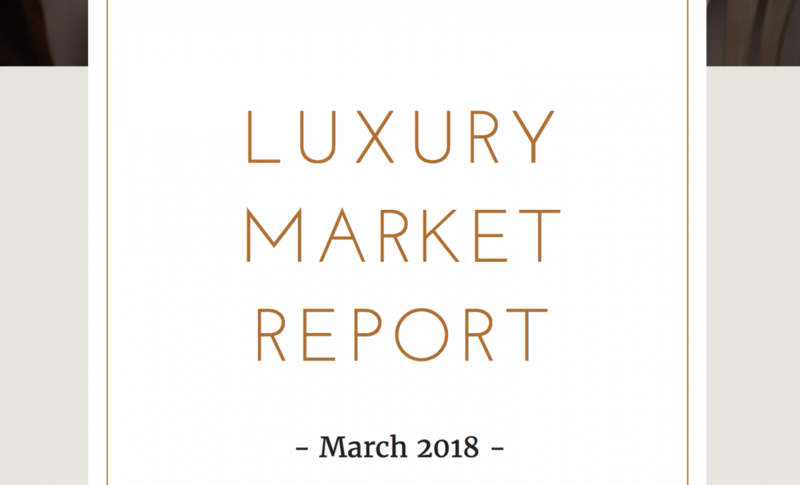 While our online classes, membership benefits, and networking resources are mostly member only, the Luxury Market Report is open to the public and is being considered an expert source by larger luxury sites. The latest statistics are showing that the majority of luxury single-family markets featured in The Institute’s report are trending towards buyer’s markets despite slight increases in median list and sales prices, inventory and sales, and a marginal decrease in the days on market. – In Denver, the luxury single-family market increased it’s sales ratio from a 20% to 24%, indicating a transition from a balanced market to sellers market. – Miami’s luxury single-family sales price increased 34% to $1,175,000. – Seattle’s median attached luxury sales price rose 23% to $1,221,180. The Luxury Market Report covers close to 100 cities with detailed data of the current market, such as, median list and sale prices, increases or decreases in inventory, days on the market, and the number of luxury homes sold in that area. To check your local area and to learn more about the luxury housing market trends and what to expect in upcoming months, you can head to the Institute or directly find this month’s LMR report here. Apparently, I am not in the know. What is the sales ratio? What is the Charlotte, NC luxury market looking like at this time?